Rati, daughter of Prajapati Daksha is the Hindu goddess of love and sexual desire. She is an embodiment of beauty and is the consort of Kamadeva and is also his assistant. Rati is not only beautiful but sensual enough to mesmerise the God Kama. There are many legends associated with Rati. She has been depicted along with Kama in temple sculptures. Her birth has been mentioned in Kalika purana. Kamadeva has been created by Lord Brahma, one of the Gods of the Hindu trinity, through his mind, after he created the 10 prajapatis. Daksha is a prajapati. Lord Brahma asks Kama to shoot love arrows in the world and Daksha is to present the wife to Kama. However Kama fires his arrows to the other prajapatis who get attracted to Sandhya, daughter of Lord Brahma. Lord Shiva sees them as he is passing through. They feel embarassed and from Daksha’s sweat rises a beautiful maiden called Rati whom he presents to Kama as his wife. However Kama requests for forgiveness and Lord Brahma relents telling that he will be resurrected. As per the Brahma Vaivarta purana , Sandhya commits suicide and Lord Vishnu resurrects her marries her to Kama calling her Rati. But the Shiva purana says that Rati is born after the suicide of Sandhya as Rati from the sweat of Daksha. Kama (left) with Rati on a temple wall, Chennakesava Temple, 12th century, Belur,Karnataka. Rati on peacock vahana, sculpture, India. Rati on composite horse, painting, 1820 and 1825. As per legend Tarakasura had created havoc in the universe and only Lord Shiva’s son can stop him. However Lord Shiva has turned ascetic after the death of his consort, Sati. In order to infuse love into him again Kama is asked by the Gods to shoot love arrows at him. Lord Shiva gets attracted to Parvati (Sati reborn) but burns Kama to ashes. At this Rati goes berserk. In the Puranas the legend continues that Parvati promises to redeem Kama as Pradyumna, Lord Krishna’s son after seeing Rati’s penance. Another legend in Skanda-purana says Sage narada provoked the demon Sambara to kidnap Rati. Rati would have insulted Sage Narada at one point. Sambara takes Rato to his house but cannot touch her as he might burn to ashes. Rati becomes a kitchen-maid and she is called Mayavati. Another legend has it that Sambara will die at the hands of Kama and so she waits for him to come. Sambara knows about this, steals Lord Krishna’s and Rukmini’s child and throws him into the ocean. A fish swallows him and the fish lands in Mayavati’s kitchen. Mayavati raises the child; sage Narada conveys that he is Kama reborn and that she is actually Rati. As the child grows the motherly love changes to passinate love of a wife. Mayavati narrates the entire story and trains Pradyumna who slays Sambara and they return to as a couple to Dwarka, capital of Lord Krishna. Kama and Rati, sketch of relief,1876, Kailasanatha temple, Ellora Caves, Maharashtra. As per Hindu Tantra , the Goddess Chinnamasta, one of the mahavidyas is depicted cutting off her own head and standing on the couple Kama and Rati who are locked in a sexual embrace. This entire depiction is understood in different ways. It can be understood as asymbol of control of sexual desire or that the Goddess is asymbol of sexual energy. Goddess Chinnamastā, coloured woodblock print, 19th century. This entry was posted in art history of India, asian art, Kamadeva, Rati and tagged Rati, sculpture, sculpture of india, Temple art of India on May 28, 2018 by historyreads. The peacock is a charming, graceful bird. It has magnificent tail feathers and a curved blue neck. The tail feathers can be opened up into a resplendent display when the bird dances. It is one of nature’s most splendorous sights. The peacock is the National Bird of India. it is a popular art motif in India since yore. In Sanskrit the bird is called mayura and In Hindi, mor. Zoologically the bird’s name is Pava cristatus and it is from the family of pheasants, quails, partridges and snowcocks.The peacock has a fan-shaped pretty crest which adds to its beauty. A peacock’s forelimbs are modified into wings and two hindlimbs are for general mobility. The male has the ornamental tail feathers called train consisting of upto 150 feathers ! The female is called peahen and is smaller in size. It is a plain brown bird without the train. Fully white peacocks too are there but are bit rare. The peacock rejoices on seeing the clouds and is often called meghananda. Found mostly in South Asia and Far Eastern Asia. Peacocks have been depicted in India since Harappan times. The peacock is India’s favourite bird in the Rigveda. The peacock was a favourite among the Indus Valley people, peacock has been depicted in folk literature too! Peacock was the totem of the Mauryan rulers, a word derived from mor or mayura. and has been found on stones used for the palace of Chandragupta Maurya. The peacock is an important component in the Jataka tales. Peacock is found at the railings of the Bharhut Stupa dating to 1st century B.C, now seen at the Indian Museum, Kolkata. the northern gateway of the Great Stupa at Sanchi in Madhya Pradesh, from 2nd-1st century B.C depicts peacocks in pairs with their long tails. There are many sculptural depictions of the peacock across India across centuries. Peacock motif, Great Stupa, Sanchi, 2nd to 1st B.C, Madhya Pradesh. 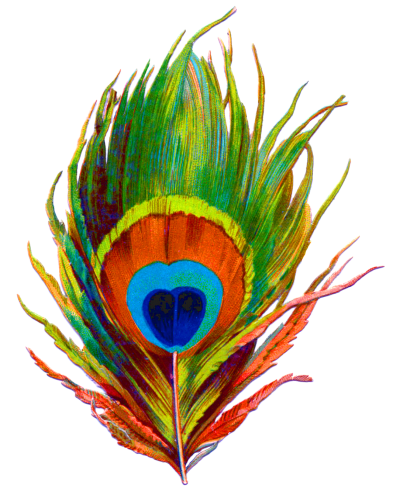 The peacock is associated with Lord Kartikeya or Murugan as his vehicle or vahana. Lord Murugan is the Commander-in-chief of the Gods in Hinduism. He vanquishes Tarakasura. To achieve this Garuda (vehicle of Lord Vishnu) gave his son, the peacock to him. Lord Shiva gave him a locket and Indra gave him a string of pearls. The other gods gave him different powers. Agni gave him a shula or spear, Brihaspati gave him a danda or club, Ganga gave him a kamandala (pot for water). Kartikeya depicted on his peacock in upper left, on a Nataraja relief on Temple 1; Ganesha in upper right corner, Parvati in lower left and a musician is in lower right, Jageshwar Temples, Uttarakhand, 7th-12th century . Kartikeya on peacock, Hucchimalligudi, 8th century, Aihole, Karnataka. Abhaneri temple, 7th/8th century, Rajasthan. Kolaramma temple, Kolar, 11th century,Karnataka. Lower panel of relief depicts musicians and dancing peacocks, 12th-century, Hoysaleswara temple, Halebidu, Karnataka. Jaisalmer Palace and Fort, 12th century, Rajasthan. Chennakesava temple, Somnathapura, 13th century, Karnataka. Lakhsminarasimha temple, Javagal,13th century, Karnataka. Achyutaraya temple,Hampi, 16th century, Karnataka. Peacock in Indian art,thought and literature/Krishna Lal, New Delhi : Abhinav Publications, 2006. This entry was posted in art history of India, Peacock, sculpture of india, Temple art of India, Temples of India and tagged art history, art history of India, Peacock, sculpture, Temples on May 2, 2018 by historyreads.